Id have to go with Kano on this one. Purely because if I think of a criminal in the MK games, its Kano who instantly comes to mind. Sorry I'm a little late with the ceremonial giving of the latest title, but here it is! In MK1, Kano paved the way for a new faction of Mortal Kombat villains that would expand beyond anyone's expectations when the game was first released. You can't think of an MK criminal without having Kano come to mind before all others of his kind that made their appearence in future games. With a unique and intimidating look unrivaled by any other villain, Kano started off as a threat within Earth itself before exceeding expectations and joining forces with the lethal otherworldly powers of Outworld. He is cunning... he is brute... he is the lowest of the low, and yet, admired by all MK fans for his undeniable ability to save himself from any danger by making just the right decisions at just the right time. The Cannonball... the butterfly knives... and, of course, the infamous laser beam. Though others have tried (ahemjarekahem), none can pull off these trademark MK moves like the Most Notorious Criminal can! But Kano has not made a name for himself through moves and looks alone. He has forced us to love to hate him as his storyline evolved, evading capture countless times from authorities and enemies, all while maintaing one of the most famous rivalries in the MK universe. Though his demise seemed certain when he was killed by Sonya Blade in MK3, Kano still proved that he can cheat even death itself and that his streak of luck is incessant when he surfaced yet again later on, only to remain intact until now. None can deny that Kano is the original criminal of MK, responsible for notorious Black Dragon Clan, which became a vital part of the overall storyline as years went by. Through his countless appearences, rivalries, and infamous conniving nature, Kano has established himself as a concrete part of the MK legacy, and though his future is murky as of now, none will ever forget the murderous, plated laser eye and the killer sporting it. A new title and its candidates will be announced soon, so be sure to stop by and cast you vote for which MK Character will receive an honorary place in this generation of the game! I hate Kano. He should've stayed dead after MK3. Since I ran late on posting this new title, I'll extend voting until next friday! Moloch. <br/> <br/>Though I would love Sheeva to win an award, this wouldn't be the type for her. Most vicious? Dont think so. Perhaps best character, but not this. Though I would love Sheeva to win an award, this wouldn't be the type for her. Most vicious? Dont think so. Perhaps best character, but not this. Moloch, just for the sheer fear factor. Eating human flesh, teaming up with Drahmin, hell, even killing Scorpion. I would have picked Onaga, but he didn't seem so scary since Deception's story kind of...keeled over and died. 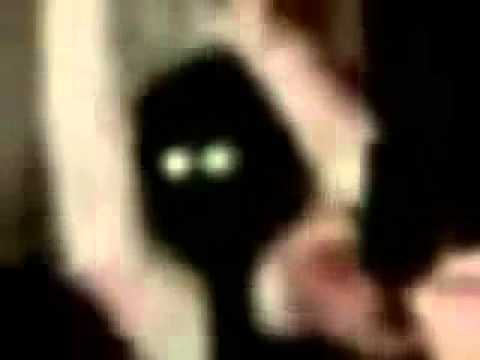 <br/> <br/>Moloch. Rawr. Moloch, just for the sheer fear factor. Eating human flesh, teaming up with Drahmin, hell, even killing Scorpion. I would have picked Onaga, but he didn't seem so scary since Deception's story kind of...keeled over and died. I have to say baraka. He's been a fan favorite ever since his first appearence but his personality is so self serving. Every person he's ever seved he's attempted to overthrow he has no loyalty only a drive to be the meanest and badest of them all. It would be sad to see him go in future mk games but thats another thread. Doesn't exactly ring "Vicious" for some odd reason. Certainly "evil"..but not so vicious now that this is in focus...hm wierd..
One of my favorites but lacks the "meat" of what it takes to be exactly "vicious"... "Beastly", boss -esk...yea, but sheer viciousness? He's not bloody enough...he's more a character contender for the brute force/sadistic/cinical category I think.. Story also lacks. Great potential, but he doesn't have enough of a track record to convice me of the "most" vicious. Baraka should watch out in the future. He'd probably win something like Brute force alone. But nothing else. I don't beleive he's "sharp" enough to be "vicious". He's scary, and it hurts when he hits, but there's nothing about him that's ferocious. Haven't really seen what he's capable of yet... So far he has the looks of a potential vicious character, has more than enough brute force, is of a vicious breed....ect ect..
Why didn't you put him in there? He's a "monster" I think. and he's more vicious than a couple people on the list...He doesn't qualify? I think the obvious choice is Baraka. He was vicious in the beginning, took a break.... and when he came back he was an even more vicious, spitting and biting, scratching, glicking and gouging .....agressivly ugly killing machine than ever before. and he does it all with a smile..
Moloch and Drahmin to me seem to be the most vicious, its in their very nature as onis. <br/> <br/>Im gonna say: Moloch. Moloch and Drahmin to me seem to be the most vicious, its in their very nature as onis. Hey guys, <br/> <br/>It was an exciting race, with Moloch dangerously overpowering the other contestants until Baraka zipped past him by claiming a total of 5 votes in comparison to Moloch's 3! So congrats to the "Most Vicious Monster..." <br/> <br/>========================================== <br/> <br/><font color=gold><center><b><font size=+3>1st Place</center></b></font></font> <br/><center><b><font size=+1>BARAKA</center></b></font> <br/> <br/><center><img Src="http://www.mortalkombatwarehouse.com/mk2/baraka/bio.gif"></center> <br/> <br/><font color=silver><b><i>Think of a creature who would make you piss your pants in a nightmare, and you're probably going to get an image of Baraka. Our Most Vicious Monster is also one of the most terrifying, grotesque, and bloodthirsty characters to become part of the Mortal Kombat legacy! His glowing eyes, his elongated and razor-sharp teeth, and the famous blades are just some characteristics that have been put together to form this walking limb-tearer! <br/> <br/>He is the epitome of the Tarkata, a race that has become notorious in the MK universe as an instantly-recognizable symbol of death and carnage. While Baraka has spent the better part of his life serving "higher" powers, he has always maintained, beneath his outer layer of a killer, a self-serving frame of mind that has kept him around for so long. And when a monster has both a violent nature and a strategic mind, he becomes all the more frightening...</b> <br/> <br/><center><img Src="http://www.mortalkombatonline.com/content/games/mkd/baraka/end1.jpg"></center> <br/> <br/><b>Throughout his storyline, Baraka has been driven by the urge to battle and the thirst for both flesh and power. He is and has always been ready to switch sides and stick a blade in the back of anyone who could not satiate his murderous nature. It is his never-ending determination to gain ultimate control and bring about the death of his enemies that has made Baraka an iconic character, loved by his fans and superior to the other candidates for Most Vicious Monster!</b> <br/> <br/><center><img Src="http://upload.wikimedia.org/wikipedia/en/thumb/0/03/BarakaMKSM.jpg/225px-BarakaMKSM.jpg"></center> <br/> <br/><b>Why hasn't there ever been another Tarkatan character in the MK games? Probably because Baraka is a one-and-only type of villain: the kind who is so well-planned and so complex that no other of his kind can surpass him. As the end of this generation of Mortal Kombat draws to a close, Baraka's innumerable fans rest assured that his unrivaled brutality will ensure his survival and the death of all who stand in his limb-covered path. <br/> <br/>Just don't gasp too loud if you see his blade emerge from the shadows of MK 8...</b></font></font></i> <br/> <br/>========================================== <br/> <br/>Another title given out to a character who has just ensured a memorable spot for himself in this generation of Mortal Kombat, thanks to his fans! Be sure to check back tomorrow for a new list of candidates to a brand new, coveted name that only YOU can give out! It was an exciting race, with Moloch dangerously overpowering the other contestants until Baraka zipped past him by claiming a total of 5 votes in comparison to Moloch's 3! So congrats to the "Most Vicious Monster..."
Think of a creature who would make you piss your pants in a nightmare, and you're probably going to get an image of Baraka. Our Most Vicious Monster is also one of the most terrifying, grotesque, and bloodthirsty characters to become part of the Mortal Kombat legacy! His glowing eyes, his elongated and razor-sharp teeth, and the famous blades are just some characteristics that have been put together to form this walking limb-tearer! 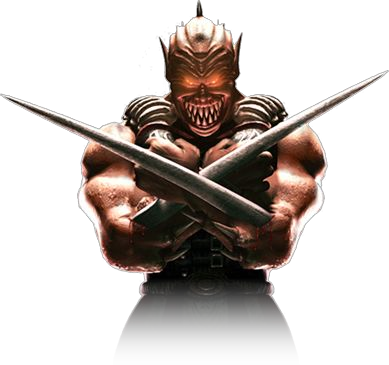 Throughout his storyline, Baraka has been driven by the urge to battle and the thirst for both flesh and power. He is and has always been ready to switch sides and stick a blade in the back of anyone who could not satiate his murderous nature. It is his never-ending determination to gain ultimate control and bring about the death of his enemies that has made Baraka an iconic character, loved by his fans and superior to the other candidates for Most Vicious Monster! Why hasn't there ever been another Tarkatan character in the MK games? Probably because Baraka is a one-and-only type of villain: the kind who is so well-planned and so complex that no other of his kind can surpass him. As the end of this generation of Mortal Kombat draws to a close, Baraka's innumerable fans rest assured that his unrivaled brutality will ensure his survival and the death of all who stand in his limb-covered path. Another title given out to a character who has just ensured a memorable spot for himself in this generation of Mortal Kombat, thanks to his fans! Be sure to check back tomorrow for a new list of candidates to a brand new, coveted name that only YOU can give out! During the beginning times, there were only a few heroes chosen to represent Earth in a tournament called Mortal Kombat. Which of these selected few has an upper hand with the fans? Fewer candidates than usual, but one of the most vital titles so far! Vote until Friday for who should take home the title of Best Original Hero! I'll return soon with my vote. 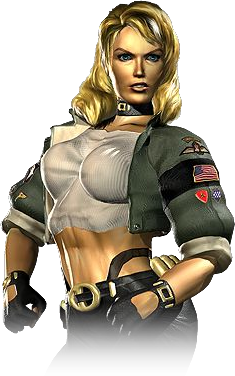 Why, General Sonya Blade of course. 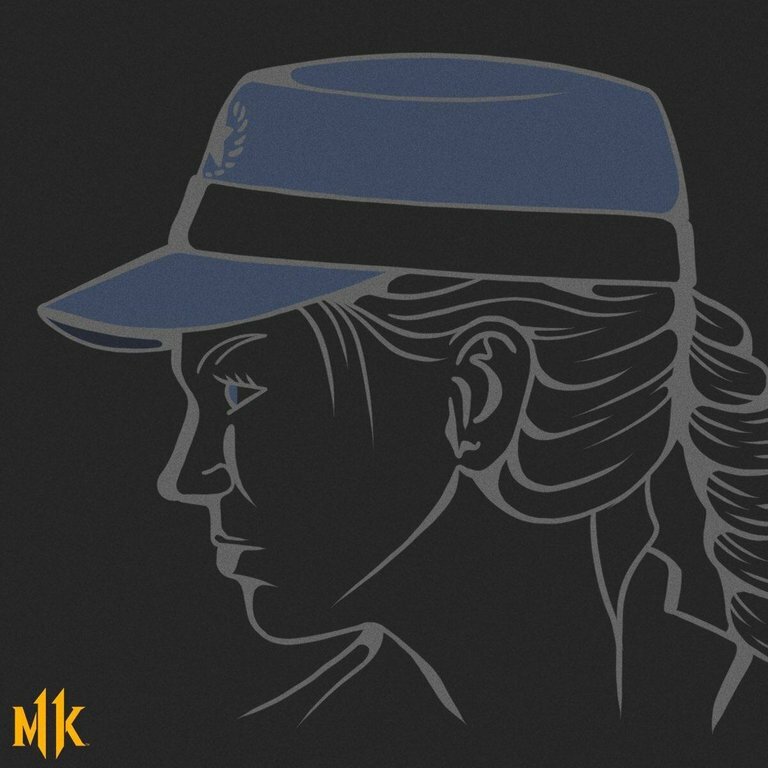 Toss up between Liu Kang and Sonya... <br/> <br/>Sonya has always been alright. I never favored her, but she's an original. I think I'm going to have to go with Liu Kang, though, just because of all the responsibility he's taken up, the horrible things he's had to see, and now his "graaaaagh braaaiiiiins" form. <br/> <br/>Liu Kang. Sonya has always been alright. I never favored her, but she's an original. I think I'm going to have to go with Liu Kang, though, just because of all the responsibility he's taken up, the horrible things he's had to see, and now his "graaaaagh braaaiiiiins" form. Original being the key word, Sonya's closer to that than the other two. 'Best' would be Liu Kang. He did win 4 Mortal Komats afterall, the others just stuck around to make up the numbers. <br/> <br/>Favourite of the three would be a different matter, however. <br/> <br/>My Vote: Liu Kang. 'Best' would be Liu Kang. He did win 4 Mortal Komats afterall, the others just stuck around to make up the numbers. Favourite of the three would be a different matter, however.